Make your own festive and one-of-a kind Passover/Seder Plate in Glass! You can decorate and personalize your plate using colorful accessory glass on a clear base. 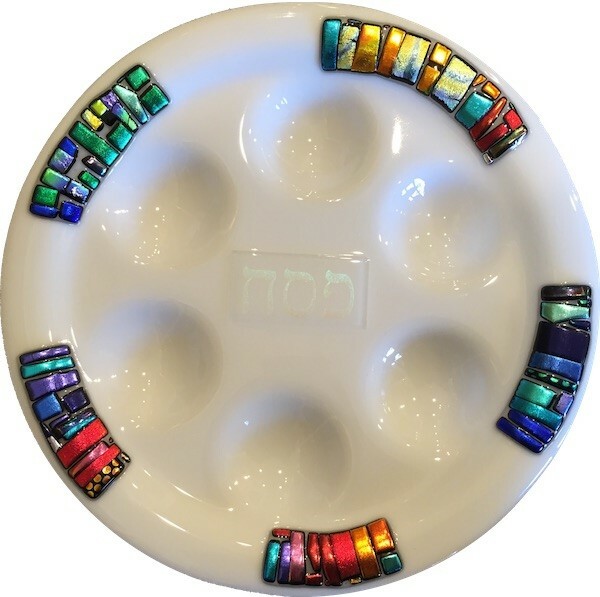 Your Seder plate will be a beautiful and unique addition to your Holiday table! You will make a 11.75 fused glass Passover/Seder plate on a white background. Plates can be picked up 1 to 2 weeks after class. All materials, tools and kiln firings are provided.